The Tehran Day is annually marked by Iranian people on October 6, the day when the city was officially chosen as the capital of Iran by the Qajar dynasty back in 1907. It’s been two years that the citizens of the Iranian capital are marking the Tehran Day based on 2016 a decision by members of the City Council. Life in Tehran dates back to the Neolithic era or the New Stone Age. Archaeological excavations in the city have led to the unveiling of several 7,000-year-old skeletons and many other stone tools. Back in the seventh lunar century, when the prosperous city of Rey was razed by Mongols to the ground, its residents moved to Tehran, transferred their knowhow and trade to the new city and began to construct new homes there. This led to a significant growth and progress in Tehran. During the Safavid dynasty, Tehran became even more important after it turned into a leading hunting ground for the Safavid kings. But the main progress of Tehran began under the Qajar dynasty after it was chosen as the capital city of Iran. After a short while, Tehran turned into one of the leading cosmopolitans of the world and the third most-populated city of the Middle East. In an address to the 91st session of the Tehran City Council held on October 2, Ahmad Masjed Jamei, a member of Council, said Tehran was announced as the capital of Tehran in 1796 but its official title was Dar al-Khalafeh, the centre of Caliphate in the Islamic World. “After the Constitutional Revolution in Iran on October 6, 1907, the lawmakers made a change to the country’s Constitution, officially turning Tehran into the capital city of Iran,” he noted. Elaborating on the events organized to mark Tehran Day, he said all museums affiliated with the Cultural Heritage, Handicrafts and Tourism Organization of Iran and Tehran municipality are free during the day. “During the day, cinema tickets are also sold at half prices and a media campaign has already been launched with the hashtags #Tehran_Day and #Tehran_for_Iranians,” he noted. For his part, Head of the Tourism Centre of Tehran Municipality, Mehdi Seif, took the podium and elaborated on the week-long cultural events organized to mark Tehran Day in at least11 historical and cultural centres of the city. “A series of cultural events are set to be held in Music, Water, Graphic, Carpet and Miniature, Dr. Moeen and Gashr museums during the Tehran Week to raise public awareness of the historical identity of Tehran,” he noted. 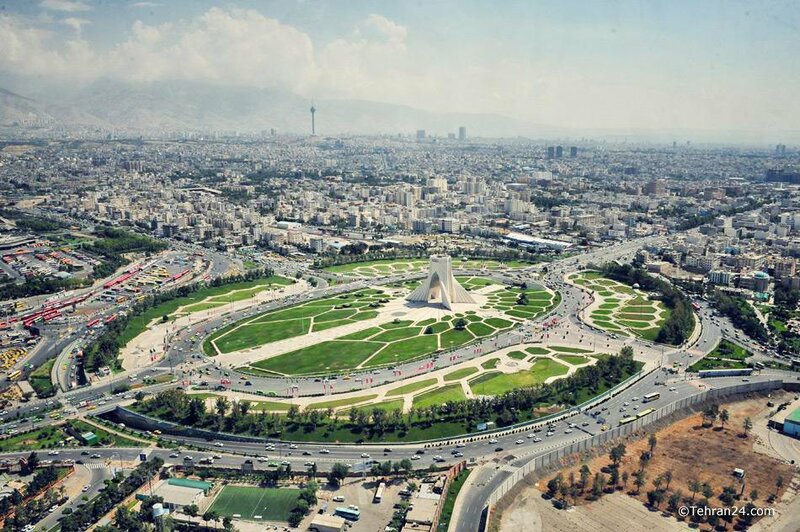 Seif underlined that Tughrul Tower, Bab Homayoun, City Theatre and Azadi Tower are among other parts of the city which are hosting cultural events during the Tehran Week. The cultural events include screening movies about Tehran as well as reciting Shahnameh (Book of Kings by Ferdowsi) and serving coffees given the coincidence of Tehran Day with the International Day of Coffee. Meanwhile, the organizers will hold some related competitions and games on tourist sites in Iran with the aim of promoting the city’s tourist capacities and making its residents particularly the children more familiar with its long history.